Austin has always been renowned for its vibrant music scene alongside diverse cuisine, unique artwork, and beautiful architecture. As one of the fastest growing cities in the US, more and more people are moving to Austin each year. 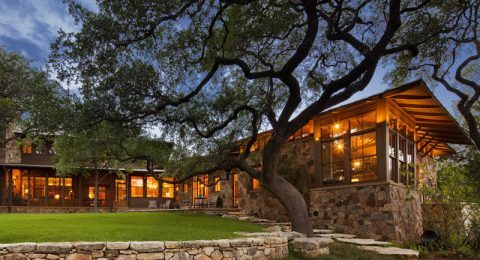 With so many interesting activities available and a rich Texas culture, Austin features homes and commercial properties of all types. Austin’s large downtown area and many residential neighborhoods can really benefit from all the advantages of window film. Texas’ constant sun and intense humidity can make energy efficiency a difficult goal to aspire to. Luckily, window film offers an affordable solution for Austin residents to save annually, in addition to safety and security benefits, UV blocking properties, decorative opportunities, and more. Whether you’re looking to reduce glare in your office space in South Congress or add privacy to your Mueller Community home’s bathroom, GreenLight Window Films has you covered. Residential window tinting offers Austin homes a multitude of benefits. Window films offer an affordable solution for homeowners to save on energy usage, reduce glare, add privacy, create decorative elements, and more. Window tinting can also offer UV protection comparable to SPF 1000 defending building occupants and valuables. These cost-effective products are great ROIs and can transform your Austin home, elevate curb appeal, and increase property equity. Whether you’re looking for energy savings in your Zilker home or reduce glare in your condo in North Austin, GreenLight Window Films has you covered. Commercial window tinting has a diverse, plethora of advantages for Austin public buildings and commercial properties. GreenLight Window Films is proud to carry a comprehensive collection of window films specially engineered for commercial application. Window tinting offers Austin commercial property owners the opportunity to save considerably on annual energy cots, defend their building and employees from unknown threats, increase brand visualization, modernize the exterior of their building, and more. With great ROIs and products that can lead to LEED certification, we guarantee we can help you find the right investment for your property. Whether you’re looking to add premium security benefits to your high-rise in Downtown Austin or promote temporary sales events in your boutique in the Seaholm District, we’ve got you covered. Choosing The Right Window Film Contractor Matters! Choosing a window film contractor for your home is likely the most important part of having window film installed. This is because when you choose the right contractor they will both guide you to the right film for your particular needs and make sure that, the high-quality brand you choose is installed according to brand standards. 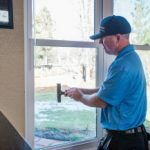 A brand certified installer not only knows exactly how to install the brands they partner with but also are covered under the manufacturer’s warranty. This ensures the long-life of your window film and the proper ROI. It takes an expert to make your window film experience a positive and profitable one and it all starts with the initial consultation. When contractors listen to you, instead of trying to sell you something, you get the results you need to make your life better. At our consultations here at Greenlight Window Film in Austin, we will listen carefully to your problems and ask questions to be sure we fully understand your property’s unique set of problems. We will also sort through the hundreds of window film options and come up with the best solution to meet your needs. Often this involves testing the existing glass for levels of heat/ light penetration, UV etc. Finally, we will fully explain why we chose the particular film selected and how this will solve your problem. Once you have selected the film that best fits your Austin home or commercial project, and you have signed off on the clear, concise and honest pricing on your job, your new project manager will schedule a day and time, that works for you, to start and end your job. Happily, window tinting jobs will be done in a day, sometimes even in a matter of hours. Some jobs could take longer if the scope of your project is very large, you need high-end security framing, or you own a commercial building in need of extensive exterior window refinishing, however, don’t worry, if this is the case, your project manager will let you know how much additional time to plan for before the job begins. First we carefully clean and prepare your glass. Next, we apply the film and/or any adhesives and trim it to size. Lastly, we use a special squeegee to make sure the film sits perfectly flush with your windows and squeeze out any unsightly air bubbles. Window tinting jobs, in general, are done in one day, sometimes even in a matter of hours. Our workers are always very careful in your home or on your property. They always clean up thoroughly after they are done too. After we leave it will be like we were never there–except for your fantastic and more functional than ever tinted windows! Austin experiences hot, humid summers combined with rainy, cold winters and sunshine more often than not. Energy efficiency can definitely be a hard priority to accomplish fro both commercial and residential building owners. Energy efficient window film offers a cost-effective solution that’s considerably cheaper than window replacement but delivers premium insulation and solar rejection properties. Energy efficient window film is a great ROI helping Austin residents lower their HVAC consumption and heating efforts. 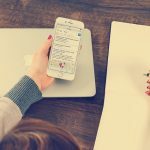 Learn more about lowering your energy costs! UV blocking window film offers SPF 1000 for Austin residences and commercial spaces. By blocking up to 99.9% of UV rays, you can defend against fading, discoloration, health concerns, and more. Commercial application of UV blocking window film can prolong product life, optimize display merchandize, protect art, and more. 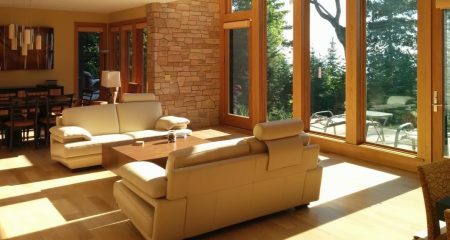 Residential application of UV blocking window film defends your loved ones from significant skin and eye disease while protecting your floors, furniture, and valuables. Learn more about protecting your home or office from UV damage! Safety and security window tint defends against a multitude of threats including break-ins, burglaries, natural disasters, explosions, and more. A great addition for both residential and commercial properties throughout Austin, safety and security window film mitigates broken glass and flying debris hazards. Security film protects the most vulnerable areas of any building– the glass doors and windows. Learn more about safety and security films! Decorative window film enables open creative opportunities for residential and commercial application throughout Austin. 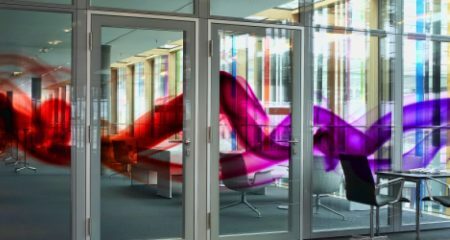 With endless design, color, and texture options, these highly customizable films can help building owners fully utilize their existing space. From increased brand visualization to HD graphics that enhance buyer experience, decorative window film is an affordable marketing, residential design, and privacy solution. Learn more about decorative films! Say goodbye to hours wasted sitty in a hot, stuffy living room with residential window film. Installing window film for your home is may seem like a minor change, but it’s one that makes a big difference! With window film installed, you can actually feel the difference in temperature in your home. At Green Light Window Films, we carry a multitude of options for residential window films for Austin, including films for energy saving, security, and privacy. In Texas, it can be difficult to keep your hotel at the right temperature. The state’s warm, sunny climate poses serious issues when it comes to cooling a large building, and can create enormous expenses. Not to mention, hot, uncomfortable rooms can cause guests to complain, and make you miss out on business. Window film can make your Austin hotel more energy efficient, reduce glare, and keep your guests safe and comfortable. From vivacious night clubs on Sixth Street to diners and cafes in South Congress and Clarksville, restaurants of all types in the Austin metro can enjoy the extensive benefits of window tinting. Window film provides restaurant owners with an affordable way to make renovations on a tight budget and improve aesthetic appearances, energy efficiency, and security. From super durable anti-graffiti films to subtle frosted patterned films, we carry an extensive selection of window films that are perfect for restaurants. In the retail industry, aesthetics are just as important as the quality of your products. Having a storefront that looks visually appeal is essential to enticing customers to walk into your store, and even more important for getting them to make a purchase. Our window films can take your Austin retail store from drab to fab in an instant by adding color and eye-catching designs and also protect your store from theft, graffiti, and uv rays. 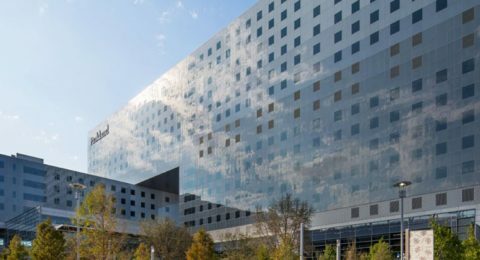 Window film is an extremely worthwhile investment for Austin hospitals and healthcare buildings. Not only does it provide hospitals with the protection they need to keep staff and patients safe, but it also facilities the transmission of natural light, creating a warm, welcoming environment. Installing a window film in patient rooms or lobby areas of your hospital can make your guests feel more comfortable and at ease. Austin residents love their sports. During game day, Longhorns and Spurs fans gather in huge numbers within Austin’s stadiums and arenas. During all the excitement, maintaining a safe, secure environment is at the top of the list of priorities for stadiums and arenas. Our window films can protect your Austin stadium from even the most severe dangers and also keep your energy costs to a minimum. Public and government buildings are high risk environments have to be kept extremely secure. Many of these buildings contain sensitive information, expensive computers and office equipment, and other valuable items that can easily tempt criminals looking for something to steal. Our window films provide a way for Austin public and government buildings to remain secure 24 hours added without the need for additional security staff or expensive renovations. Austin residents are fortunate to have many options for their commute thanks to the city’s thriving public transit system from the Cap Metro to the Austin–Bergstrom International Airport and more. Our window films make the ultimate addition to transit vehicles and stations by adding energy efficiency, security, and beauty to glass areas. With window film in place, you can ensure that every individual traveling on your transit system gets to where they’re going in total comfort and safety. 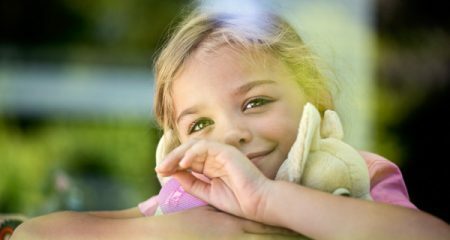 Our window films offer advantages for Austin schools of every grade level, from daycares and preschools all the way to high schools and colleges. Window tinting not only helps schools save money by keeping high energy costs at bay and providing an affordable way to make renovations, it actually makes classrooms more productive too. Install a solar control window film and witness instantly how absenteeism rates drop and student test scores soar! As a city known for its contribution to the arts, Austin is full of an abundance of places where residents can visit for entertainment, including the Austin Music Hall, the Paramount Theatre, and the family friendly ZACH theater. Our window films make an exceptional addition to Austin convention centers and theaters, bringing them to life with stunning aesthetics and creating a comfortable, enjoyable space for all. We can even have your film custom designed so that it displays your theater’s name or logo! The most popular choice for window tint for Austin jails and prisons are our multi-functioning security/solar control films. These window films offer dual functionality and are perfect for secure environments because they resolve the two most common concerns: safety and comfort. You’ll be amazed at how much difference window film can make by lowering the temperature of your building and will enjoy the peace of mind you achieve knowing that your staff and visitors are safe. Austin’s museums and libraries play a significant role in not only educating the public, but also keeping the city’s history and culture alive. At Green Light Window Films, we are proud to extend our services to these noble institutions by offering the highest quality decorative and solar control window films on the market. Let our team work with you to create striking displays for your space with a brilliant window film design and provide you with the energy saving solution you need! 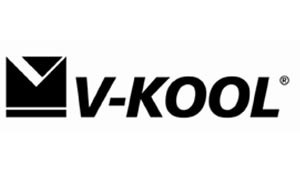 V-Kool offers the finest spectrally selective window film solutions for Austin homes and businesses. Save money while achieving optical clarity and more. GreenLight Window Films is the number one source for V-Kool window films in the Austin area. Llumar engineers window tinting solutions for commercial and residential application throughout the Austin area. These great ROIs are designed to help residents save money alongside protecting their homes. 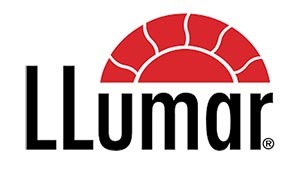 Learn more about Llumar window films for your Austin home or business. SunTek provides premium architectural window films with various, unique aesthetics for Austin residences and office spaces. These architectural films are designed to reduce energy costs, provide privacy solutions, and more. 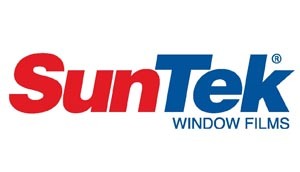 Read more about SunTek window films for your next Austin project. 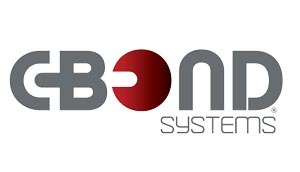 C-Bond delivers optimal glass strengtheners that prolong window film life and improve glass strength and flexibility. GreenLight is proud to utilize C-Bond technology in the majority of our window film projects– especially for security film. Discover more on C-Bond glass strengthener for your Austin building. 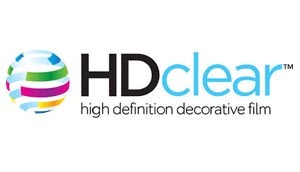 HDClear is the ultimate decorative film manufacturer, offering highly customizable HD printing solutions for Austin businesses and homes. With a full range of privacy films and marketing products, HDClear provides premium decorative films. Learn more on HDClear decorative films for your next Austin project. Graffiti Shield provides specialized anti-graffiti films for metal, mirrored, and glass surfaces throughout Austin commercial properties. 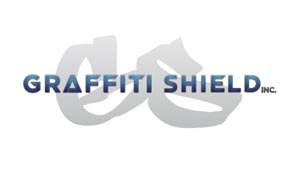 Graffiti Shield even provides custom products for nontraditional surfaces prone to graffiti. Read more on protecting your investments with Graffiti Shield for your Austin business. 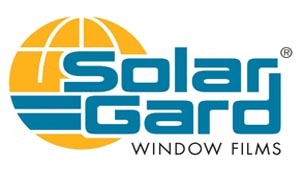 Solar Gard provides great solar rejection films perfect for any Austin property. Escape the hot Texas sun while providing great fade protection for your home or business. Discover more on Solar Gard films for your Austin building. Madico window films offer specialty solutions for Austin commercial and residential spaces. 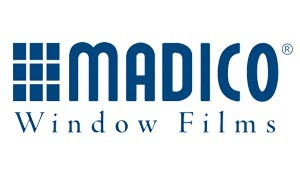 From specialty films to architectural films, Madico offers comprehensive solutions for all applications. Learn more about Madico window tinting for your Austin property. 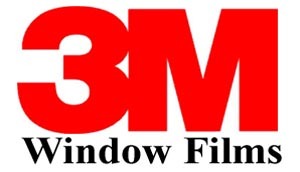 3M delivers innovative film solutions for Austin residences and office spaces. From creative, decorative films to daylight redirecting solutions, 3M promotes a better quality living space and workspace. Read more about 3M window tinting for your next Austin project. Huper Optik promote sustainable, green products that help Austin homeowners and business owners lower carbon emissions while saving on energy costs. 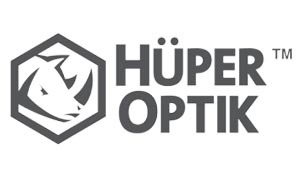 Huper Optik delivers comprehensive solutions with a multitude of different looks. Discover more on Huper Optik window film for your Austin home or business. Vista enables Austin residents the opportunity to save on energy costs, reduce glare, protect their property, and much more. 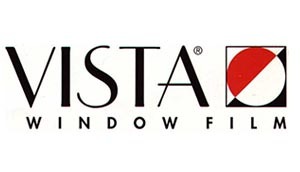 Vista manufactures the highest quality window tinting products. Learn more about Vista window film for your Austin property. 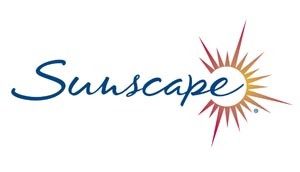 Sunscape optimizes Austin residences and businesses with high solar rejection and UV blocking technology. Beat the Texas heat with Sunscape window film solutions. GreenLight Window Films is honored to be the premier Sunscape window film contractor in the Austin area. GreenLight Window Films is honored to serve all the neighborhoods and surrounding areas within Austin, including Bryker Woods, Caswell Heights, Downtown Austin, Eastwoods, Hancock, Heritage, Hyde Park, Judges’ Hill, Lower Waller Creek, North University, Oakmont Heights, Old Enfield, Old Pecan Street, Old West Austin, Original Austin, Original West University, Pemberton Heights, Ridgelea, Ridgetop, Rosedale, Shoal Crest, and West Downtown. 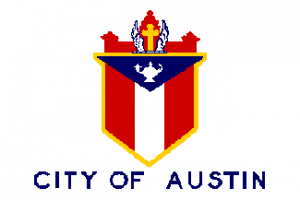 For more information regarding the neighborhoods we serve in Austin, please contact us! GreenLight Window Films is humbled to serve various regions and cities throughout the beautiful state of Texas, including Dallas, Fort Worth, Arlington, Austin, Round Rock, San Antonio, Plano, Irving, McKinney, Georgetown, San Marcos, New Braunfels, and many more. For a complete list of cities we serve in Texas, please contact us! If you live in Austin and are interested in window film solutions, please contact us! We're happy to schedule an on-site consultation regarding your tinting needs. Green Light Window Films is Austin renowned window film and window tinting contractor. We deliver all the first-rate window film products in both commercial and residential settings. Contact us today for a free on-site consultation.